US Drug Czar Gil Kerlikowske will leave his post in the White House to become the likely head of US Customs, various news sources report today. 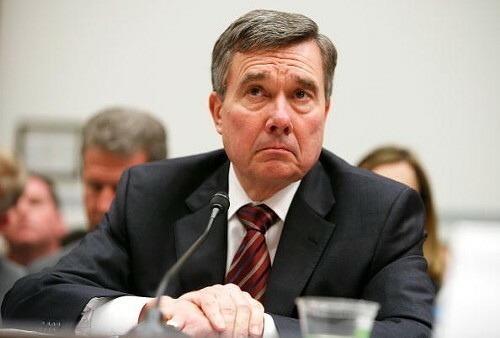 Kerlikowske will be remembered for campaigning against Prop 19 in California in 2010, yet staying out the 2012 battles to end cannabis prohibition in Washington and Colorado. Kerlikowske also famously declared the War on Drugs was over during his first interview as Drug Czar. However, the war continued in everything but name. Police have killed scores in drug busts gone wrong. About 700,00 Americans will be arrested for marijuana this year. Military drones have begun looking for domestic pot growers. June 2009: "Marijuana is dangerous and has no medicinal benefit." August 2010: "It is our experience that an overwhelming majority of police professionals does not support legalizing marijuana. ... Our opposition to legalizing marijuana is grounded not in ideology but in facts and experience." December 2010: Kerlikowske identifies "'Just Say No' under Nancy Reagan" as one the drug war's "major successes." The federal government has still not detailed its planned response to the end of prohibition in Colorado and Washington.